Trends may come and go, but nothing says effortless chic like the look (and feel) of your favorite pair of denim. How you rock your jeans is both a personal statement and testament to their timelessness. We’ve got a fresh take on pairings for every style from the classic bootcut fit to trend-forward embellished jeans. Keep reading to learn new ways to style old and new faves, fit for every day of the week. Ready to see 7 days of denim? Keep reading! You can file this under your go-to glam in a jam outfit. Seriously, when have black skinny jeans and pointed toe booties ever failed you? The chances are slim to never—especially when paired with a flirty, jewel-toned blouse. It’s the perfect recipe for cocktails and a night on the town. Grey is the new black (& blue) when it comes to jeans. Meet the neutral color that seamlessly fits in with your other tried and true favorites. 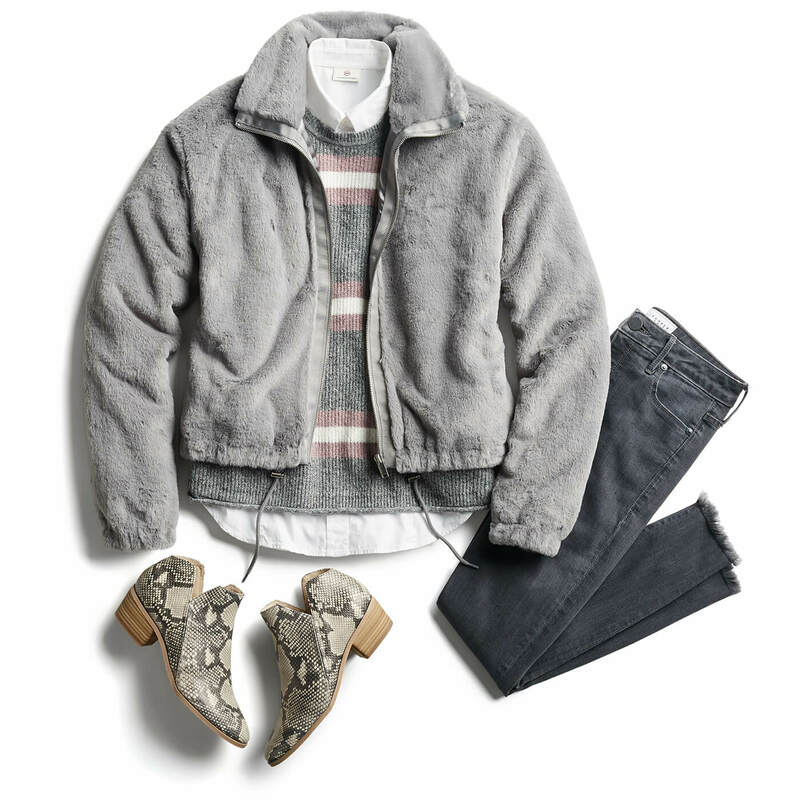 Go monochrome and match them with other, lighter greys, like soft-to-the-touch sweaters and jackets, with a hint of animal print or complementary pastels. Classic, light wash jeans have an easy-going, carefree quality to them—especially the high-waisted styles. Reach for these when you want to play up the fun factor by tucking in a rich, bright colored top, layered with a neutral jacket and soft-hued heels. Look sharp at work in a pair of classic bootcut dark wash jeans. 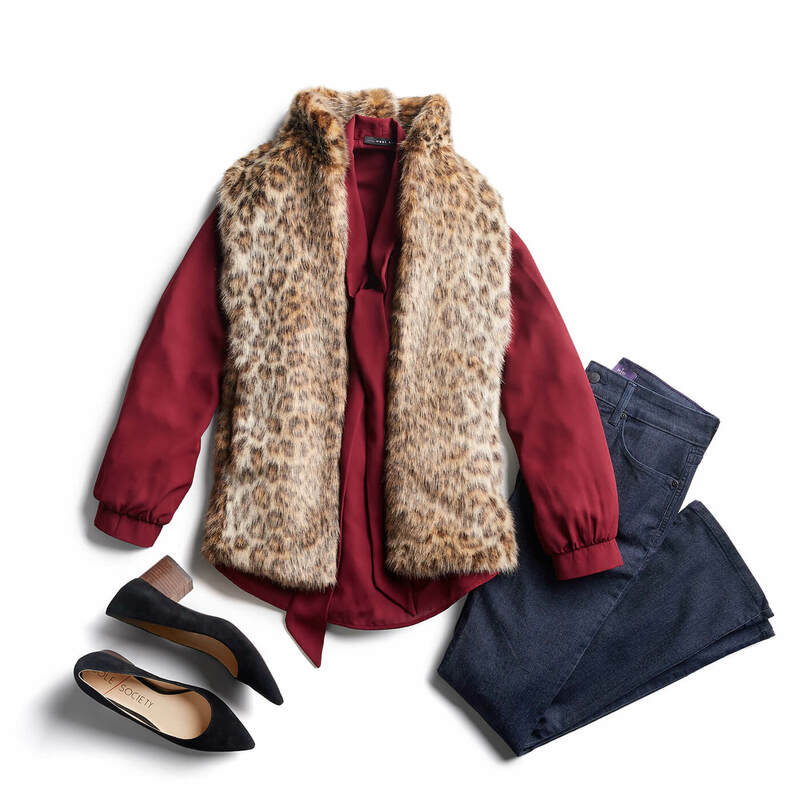 Leopard print may as well be a neutral in our book. A faux fur vest adds a little something extra to this modern vintage look, which is nicely tied together with a deep-hued bow blouse. Keep things interesting with sparkly embellishments on your denim. Just a touch of bling goes a long way to make darker washes pop when paired with chunky sweaters and coats in the cooler months. 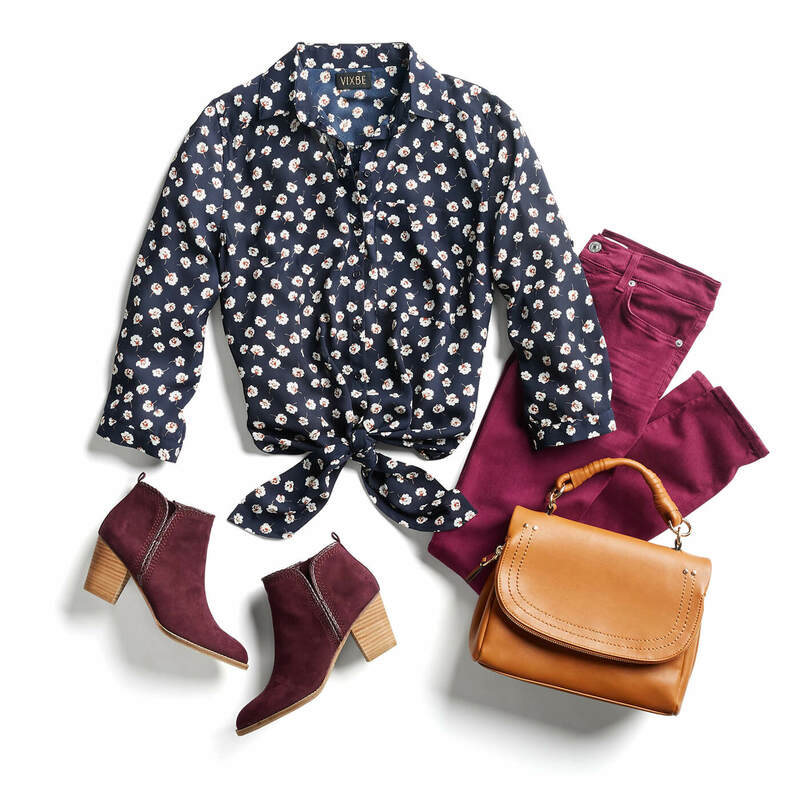 Jewel-tone jeans make our hearts palpitate—especially when combined with a flirty floral blouse that ties at the waist. Colored denim also breathes new life into preppy looks (think stripes or a double-breasted blazer and oxfords), while maintaining a polished gracefulness, à la Kate Middleton. Day 7: Distressed? No Problem! Distressed, who? Definitely not you…with the exception of your jeans, of course. 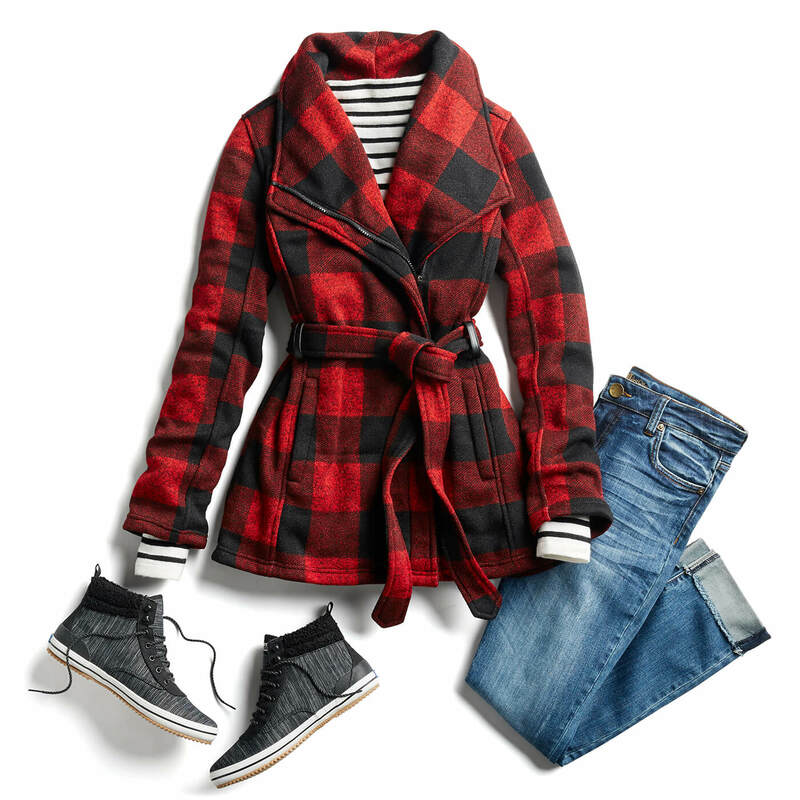 Mix plaid and striped patterns to create a casual, but bold look that’s easy, fun and comfortable for travel or just running weekend errands. Denim is definitely here for the long haul. Ask your Stylist to send you a new style to try in your next Fix.